Love knows no bounds – It’s no secret that long distance relationships are a bit harder to maintain. This is why couples rely on technology, such as messaging apps, to help them stay connected at minimal cost. KakaoTalk is best known for its free chat and call feature. The free app especially helpful for those in long-distance relationships because it allows you to make calls and send unlimited messages across the globe. Group love – You can create groups with up to five members for group calls, which makes keeping in touch so much easier. Don’t have a girlfriend/ boyfriend to celebrate? Don’t worry – find your own fun with your best buddies, and organize a guys/girls night out in an instant! Plus, KakaoTalk is also the worlds’ first to provide free group calls in HD quality, meaning your voice calls will be clearer than ever! Show your emoticons with action – As body language helps verbal communication, actions on emoticons help deliver fuller and deeper emotions. KakaoTalk exclusively offers hundreds of moving emoticons that will help expand your breadth of expressions. They’re also so much more enjoyable to see, and the dancing emoticons are sure to bring a smile to anyone’s face. 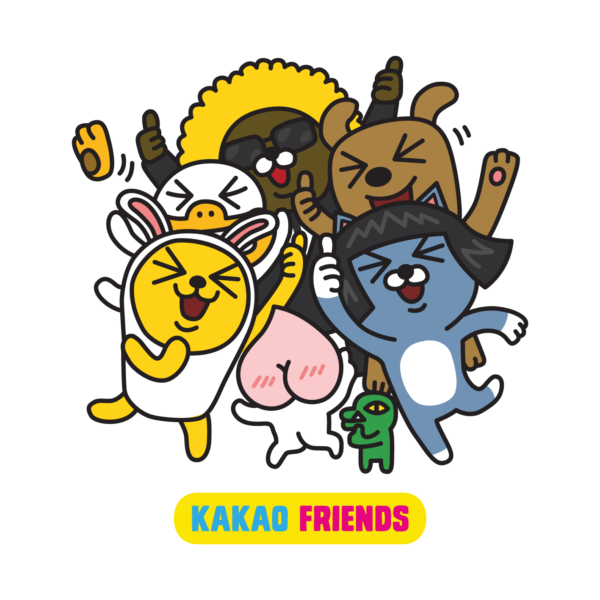 Get help from Kakao Friends – Kakao is also the only place where you will be able to meet Apeach, Jay-G, Frodo and Neo who will help send your message across. If words aren’t enough to express your emotions, the mischievous Apeach is here to help you. Bursting with energy, Apeach’s infectious charm ensures a fun time filled with adventure. To impress your date, ask help from the cool and collected Jay-G. 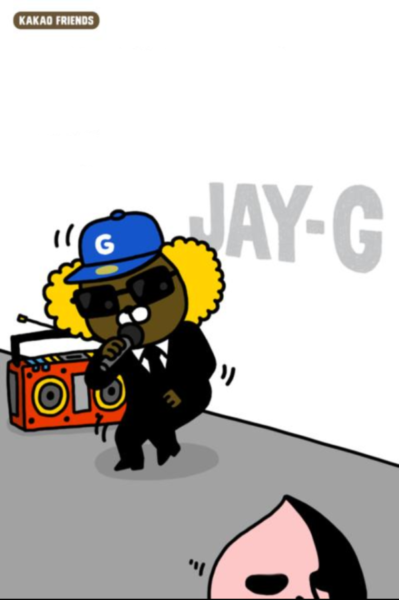 Known for his signature sunglasses and afro, Jay-G is image of a calm, cool-headed and professional dude who is really as clumsy as a bear, has the heart of a pussycat and is hungry for affection. You can also take your cue from Frodo and Neo, two complete opposites, who despite their differences, always manage to find a way to settle things. Frodo is a wealthy and spoiled city dog with a small inferioirity complex but a happy-go-lucky attitude. He takes the time to enjoy life, even if it’s something as simple as savoring his morning coffee. On the other side, we have Neo, who is the love of Frodo’s life. Neo is a prim and self-oriented cat who is very self-centered and is obsessed with her bob cut wig. This couple can help you express your affections and make peace with your friends. Make date planning easier – KakaoTalk’s location sharing feature allows you to share your location or a location of choice to your friends. Simply slide out the hidden menu, click on ‘location’ and designate the location information you want to share. Instead of having to type in difficult directions or opening up a separate app, Kakao allows users to send your location, with address, direction and all, with a single tap. As it makes use of your smartphone’s default map, you never have to worry about your friend not having the same map app for proper view. “The celebration doesn’t have to be all hearts and flowers. KakaoTalk’s features allow you to get your message across – no matter how simple or how far. We take messaging to the new heights by making them interactive, fun and customizable to fit your mood. Plus, KakaoTalk is very user friendly so anyone can use it!,” says Jean Lee, country head of KakaoTalk Philippines. KakaoTalk is also running a Valentine’s treat on Facebook and Twitter! You just need to use KakaoTalk’s Valentine’s e-cards and you may get a chance to win an iPad Air! For details, please like www.facebook.com/kakaotalkph and follow @kakaotalkph on Twitter.